Congratulations to "Kristen R." and "Taurus", the winners in Susanne's giveaway. Thank you to all who participated! Have you ever been so angry that you swore you’d get even? Have you ever gotten even with someone? Did you actually feel better? Douglas Horton said, “While seeking revenge, dig two graves - one for yourself.” When I started to write In Plain Sight, I wanted to write a story where revenge was the ultimate motive, where the need to get even overshadowed everything else. In Fire Angel, my first book, all the efforts went into finding one killer, albeit, a nasty fellow for sure, and one bent on revenge for what he perceived where injustices. The theme had worked well, so I wanted to use it again. I watch crime fiction, and I follow the news. There was a program out last year where people were placed in the Witness Protection Program, and for one reason or another, their covers were blown, or they opted out. The idea of having to leave everything behind and start a new life as someone else fascinated me. Years ago, Julia Roberts starred in a movie, Sleeping with the Enemy, where she faked her own death to escape an abusive husband. I took these two ideas and combined them to come up with In Plain Sight. According to Samuel Johnson, “Revenge is an act of passion; vengeance of justice. Injuries are revenged; crimes are avenged.” Misty Starr, my heroine, runs away from an abusive husband who happens to be part of the mob. When her testimony forces the mob boss out of the U.S., he puts out a contract on her—she’s ruined his life, his career, and taken all that is dear to him. He won’t let up until he sees her dead. His need for vengeance is an act of passion. Nick Anthony, a former concert pianist and CIA courier, lost his vision in an accident. He felt guilty and blamed himself. His blindness is what he considers atonement for his failure to protect the innocent. He suffers from conversion disorder, an emotional illness that shows itself in neurological symptoms—in Nick’s case, he can’t see. When he hears Misty sing, he’s taken with her voice and fascinated by the woman. He wants to get to know her, but when her house burns down and he realizes she’s terrified, he’ll do everything he can to keep her safe. He’ll atone for his sins by saving another innocent. How he convinces her to trust a blind man with her life is the stuff stories are made of! Misty had been living in Pine Falls for eight months now, and she really didn’t want to move again. She and her daughter Debbie were happy here. This man was a stranger, and strangers spelled danger. For more than four years, she’d run from relationships and people, including confident, powerful men like this one, avoiding friendships and commitment. She’d kept to herself, believing that if she did, she’d be safe. It hadn’t worked, and good people had died. What made her think stepping outside the box to become a member of this community and make friends here would be a wise thing to do? At the moment, it looked as if she might have made a colossal error. “Ladies and gentlemen,” Micah said as he and the newcomer approached the center of the room, capturing the attention of the female cast and the men who’d filed into the dressing room. “I have some good news and some bad news for you tonight.” The cast gave a group groan. It seemed as if this musical was cursed; they’d been practicing since September, and every time they thought they had some glitch worked out, something else went wrong. In fact, it had been one of those minor disasters that had resulted in Misty’s joining the company. She shook her head and tried to focus on what Micah was saying because the man beside him worried her. Who was he? What did he want? Why was he here? The fear she’d cultivated all these years ate at her. 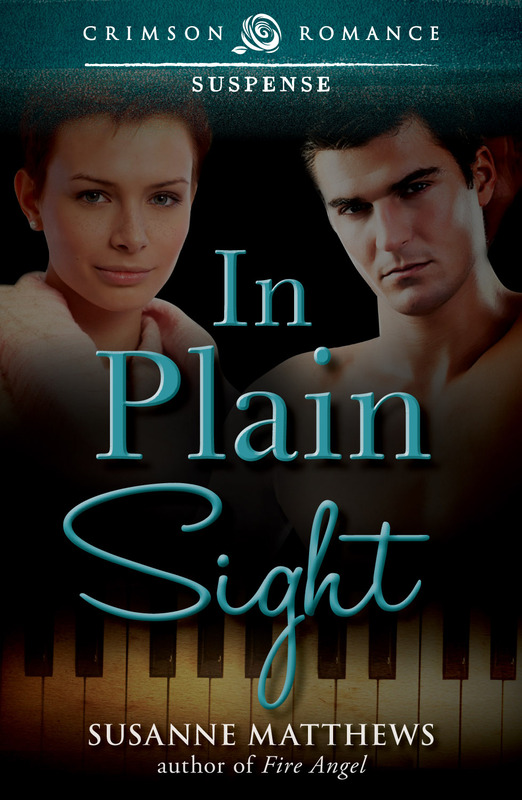 Susanne will be giving away a digital copy of IN PLAIN SIGHT to 2 people leaving a comment or email entry. Giveaway ends 11:59pm EST Aug. 23rd. Please supply your email in the post. You may use spaces or full text for security. (ex. jsmith at gmail dot com) If you do not wish to supply your email, or have trouble posting, please email maureen@JustRomanticSuspense.com with a subject title of JRS GIVEAWAY to be entered in the current giveaway. My experience with stories that have revenge as part of the plot structure has been very good. Intrigue, tension and excitement seem to be staples, just how I like it:) Also, the folly of revenge seems to provide an interesting contrast as well. In Plain Sight sounds really, really good. Thanks for the feature. I agree with Douglas Horton's statement. 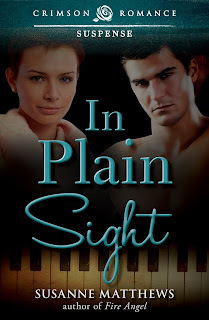 IN PLAIN SIGHT sounds like a wonderful read. Sounds like a really good book! Thanks for the chance to win. I hope I never reach the point where I feel compelled to take revenge. Best kept in the stories I read. Fabulous!! Okay, you got me interested Susanne. Revenge stories are interesting to read because the outcome can be so surprising.